Opal cards will be extended for trains through to Chatswood and also accepted on all government owned ferries from this Friday 30 August, putting the roll-out 4 months ahead of schedule. Buses will begin accepting Opal cards by the end of 2013, with the roll-out (excluding trams) expected to be completed by the end of next year. 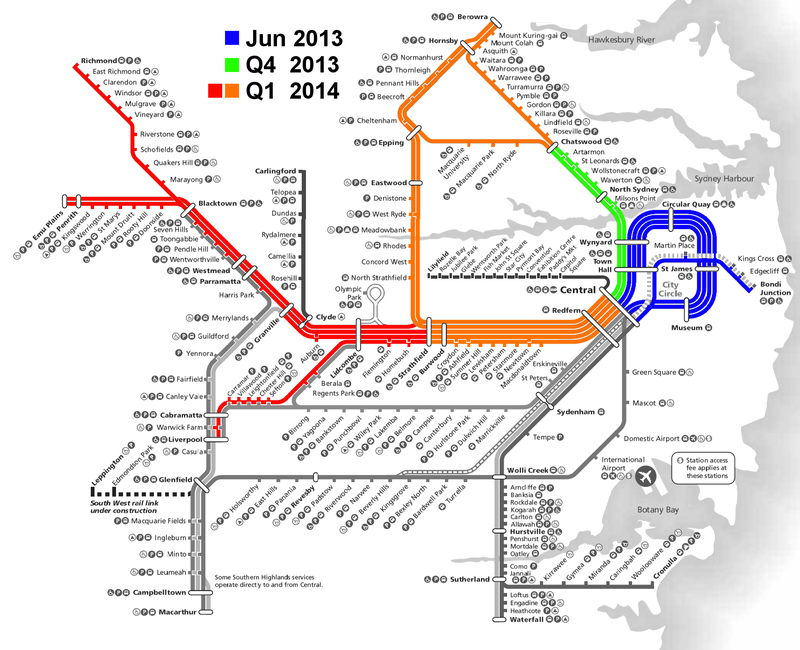 Trains were added to Opal on 14 June 2013, 2 weeks ahead of of the scheduled “2nd half of 2013”, while the Chatswood extension comes 1 month before the scheduled “4th quarter of 2013”, and the completion of the ferry roll-out is 4 months before the scheduled “end of 2013”. This means the roll-out to buses (4th quarter of 2013) and both the Northern and Western train lines (1st quarter of 2014) could also begin before their scheduled dates. What is missing is journeys made up of trips on 2 different modes of transport, where the only fare integration is the daily $15 fare cap and free trips after the first 8, which roughly equates to the existing myMulti fare option. But this means that passengers are financially encouraged to avoid multi-modal trips, even when it is more efficient from a time or cost to the government perspective. This is not ideal, and should be addressed. If not during the current Opal trial, then soon after it is fully rolled out. Otherwise, it will lead to problems when the North West Rail Link and CBD and South East Light Rail open, both of which will rely on converting existing bus services into feeder buses for passengers to transfer to rail. No full post this week due to time constraints. So instead, here are some links to some notable posts from the current year to date. Commentary: Are the NWRL tunnels too narrow and too steep? 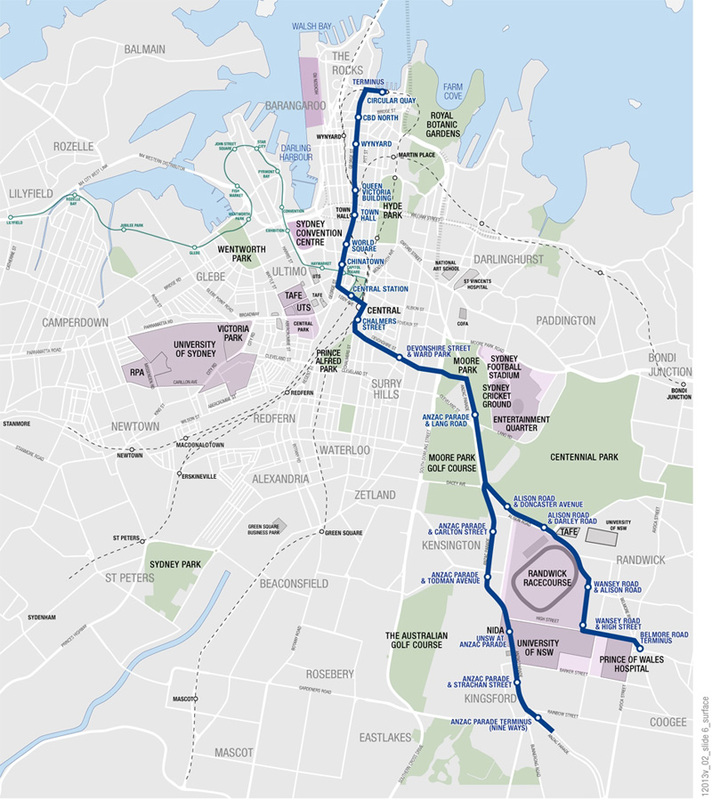 Is WestConnex worth building without a CBD link? The question of a second Sydney airport was put to Kevin Rudd and Tony Abbott at the leaders’ debate earlier tonight, a mark of how important a seemingly local issue has become on the national political stage. Daily Telegraph reporter Simon Benson asked the leaders whether they would support an airport at Badgerys in the context of job creation, putting forward the figure of 50,000 new jobs that could be created if such an airport was built. Each leader dodged the question, with Mr Abbott choosing to talk about how building WestConnex could improve the capacity of the existing Kingsford-Smith airport at Mascot, while Mr Rudd referred the question to Deputy PM and Transport Minister Anthony Albanese before attacking Mr Abbott for not supporting public transport. The important thing to take from these responses are two fold. First, each leader has now committed to making a final decision on a second airport in the next term of government. Second, both have done their best to dance around the issue of the Badgerys location, whereas in years past political leaders have been quick to immediately rule it out. 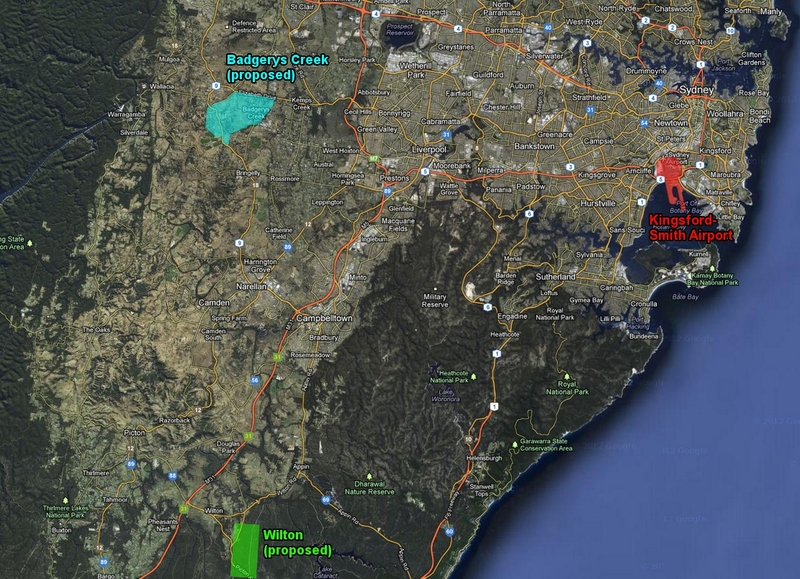 This tends to confirm a widespread belief that politicians privately accept that Badgerys is the best location for a second airport, and that a second airport is needed, but that it remains a complex issue within a political minefield. Ben Sandilands at Crikey has written that an unspoken truce now exists between politicians on the issue of Badgerys. Both know that whoever wins this election will need to start work on an airport, and that both parties will probably govern at some point during its construction. And if it will have to be built at some point anyway, it makes sense to finally put the long term interests of the national economy ahead of short term political interests. 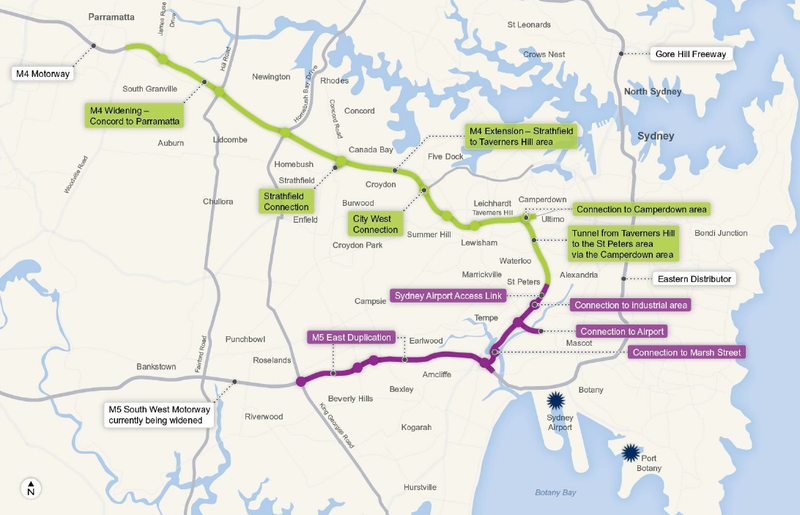 Public transport advocacy group EcoTransit has put forward a public transport alternative to the M4 East component of the WestConnex. 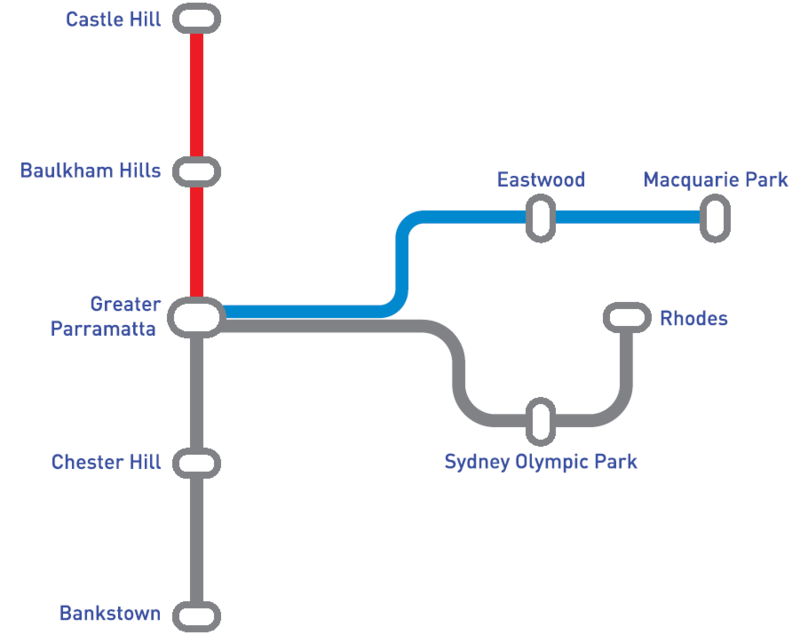 A new train station on the Eastern end of the M4, next to a large car park in Olympic Park, with trains into Central Station, along with a light rail network, would provide sufficient relief so as to avoid the need for building the M4 East, according to a video it released called “WestConnex — Greiner’s folly Part 3” (part two of this series have been covered previously on this blog, part one can be viewed here). It also claims to be able to do so at a much cheaper cost of $2.2bn, compared to $8bn for the M4 East. The video is included below and worth watching. You can also subscribe to the EcoTransit YouTube channel to receive updates when new videos are uploaded. The new train station, named Pippita Station by EcoTransit, would be above the M4 along the existing Olympic Park Line and adjacent to an existing car park currently exists for sporting events with what appears to be (using a back of the envelope estimate) 1,000 to 2,000 car spaces, These spaces tend to be used in the evening and weekends, and remain mostly empty during work hours when commuters making their journey to and from work would need a parking space. There are also enough free slots on the Main West Line tracks between Lidcombe and Central, as well as the Sydney Terminal platforms at Central Station, for a train every 15 minutes into Sydney Terminal. But the reality is not so simple, and this may not necessarily prove to be the magic bullet solution it initially appears to be. It’s worth remembering that there are currently park and ride facilities across the Sydney Trains network, and if these car drivers are not using them at the moment, it is questionable what difference adding an extra park and ride facility would provide (particularly considering that it would require a second transfer at Central for those continuing further into the CBD or elsewhere). That’s not to say it wouldn’t be of any benefit, and if this can be achieved as a cheap bolt on addition to the network then it should be seriously considered. The main problem with solutions like this are that is assumes a CBD centric view of transport in Sydney, and that the only congestion problem is in the AM and PM peaks during the week. It should be remembered that only 13% of workers commute to the CBD each day, and 77% of those do so by public or active transport. Most car traffic is not destined for the CBD, and most non-CBD travelers get to their destination by car. Improving CBD transport links is unlikely to entice such people away from their cars. Another example is when the video shows footage of Parramatta Road at 11:30AM on a weekday, pointing out that there is little to no congestion and arguing that Parramatta Road is only congested during peak hour. Yet had that footage been taken on a Saturday, it would have shown congestion on par with weekday peak hour traffic. The reason for this is only partly the lack of weekend public transport. It’s also the dispersed nature of weekend journeys (where many people are visiting friends, going shopping, or heading to a sporting event) when compared to weekday ones (where many people are going to work or study in the CBD or a major centre). Cars are much better at transporting people for the former, while public transport is much better for transporting people for the latter. It should also be remembered that a road project like WestConnex can recover a large proportion of its capital and operating costs from user tolls, and can thus be built and operated with only a small tax payer contribution. Meanwhile, public transport projects recover none of their capital costs, and only around a quarter of their operating costs from user fares, and thus require a much larger proportion of their cost to be government contribution. Nor do the costings for light rail used in the video appear to be in line with recent light rail projects. 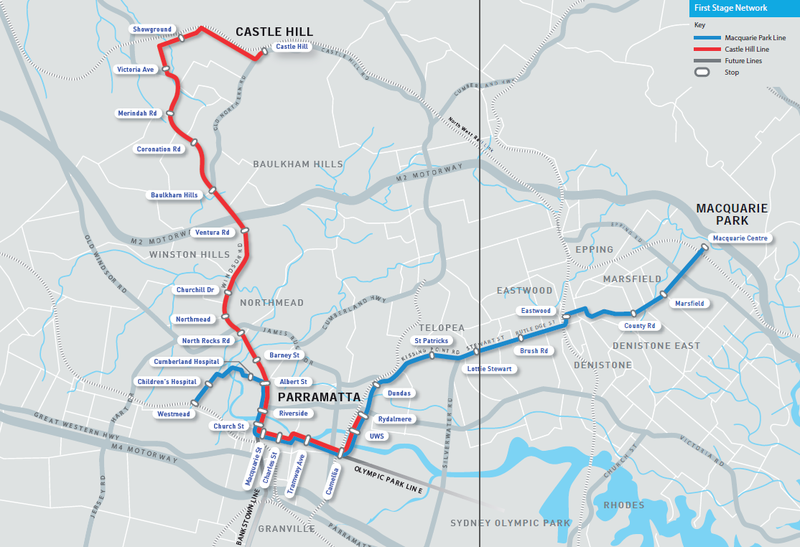 For example, the proposed Parramatta Road light rail project is about 15km in length (using a conservative estimate) and costs $975m, or $65m/km. Meanwhile, the CBD and South East light rail project about to commence construction is 12km in length and costs $1.6bn, or $133m/km. So the $2.2bn total cost could actually be double that, around $4.4bn. Compare this to the current proposed state government contribution to WestConnex of $1.8bn (which was itself obtained by selling an asset whose value increased on the assumption that WestConnex would be completed), and it soon becomes clear why the government bean counters prefer road projects to public transport ones. Finally, neither the “Pippita Express”, nor the light rail network, would provide capacity for road freight transport. Even more so than passenger movements, freight movements are highly dispersed and therefore not suited to rail transport (unless it is from one city to another). Therefore, most freight transport happens on road within Sydney. There would be some benefit from fewer cars on the road, but it would likely only be beneficial around the edges. This is not to say that the proposals put forward are bad. In fact, the “Pippita Express” is quite innovative and, as mentioned, should be investigated further. 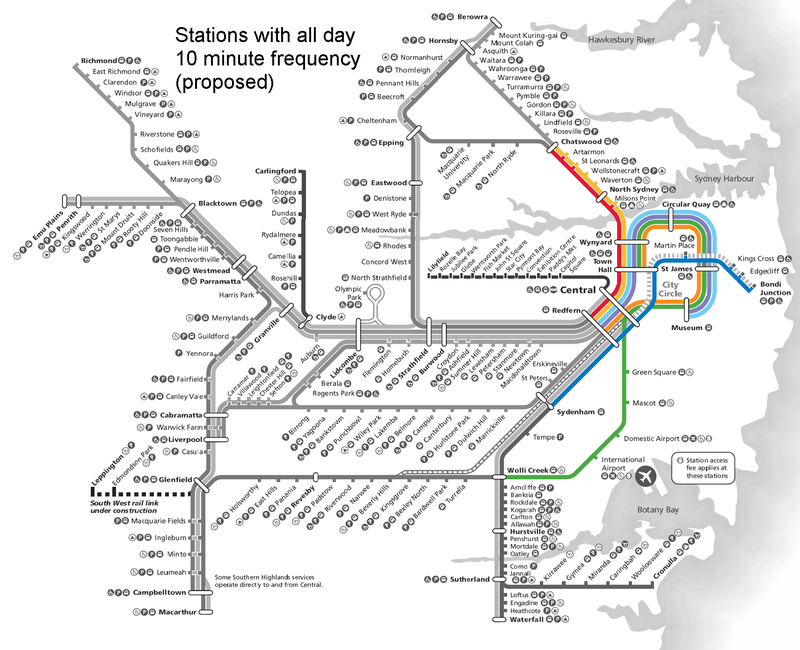 So should the extensions to the light rail network proposed in this video. Public transport improvements like these are far more efficient than roads at transporting people to the CBD and other major centres. And if this does help to create an integrated network of heavy rail, light rail, and buses that allow a greater level of mobility between other parts of Sydney, then it might begin to compete with cars in transporting people around for those previously described dispersed journeys. 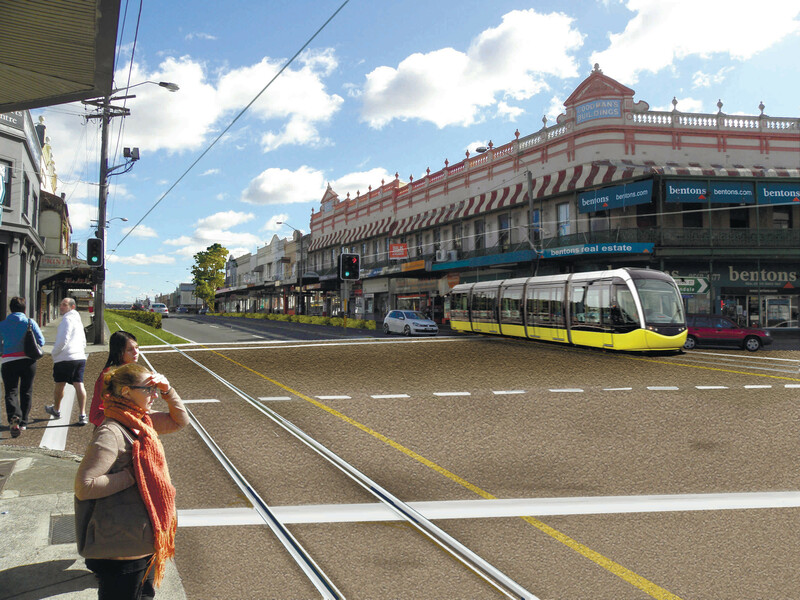 But until then, and for other reasons mentioned, the proposed rail projects are likely to be supplementary to, rather than in replacement of, WestConnex.